At the Wildfowl and Wetlands Trust we create and conserve wetlands and save species. Here at Martin Mere we have 214 hectares of wild nature reserve which are managed by our wardens and are a haven for wildlife. To help us to maintain this special area we have a team of dedicated volunteers who support our staff in ensuring we manage the habitat to the highest standards. 8am – 4:30pm – this role is only available on Tuesdays and/or Wednesdays. We will mutually agree the hours that you can contribute and it would be helpful if you could try to give us as much notice as possible on the occasions when you are not able to contribute those hours. Morning hide opening, cleaning, inspections and filling bird feeders. Checking and working with long horn cattle. Removal of invasive species of plants. Surveying of butterflies, dragonflies, birds and plants. Participating in annual swan catches. Cleaning and surveying nest boxes. You have experience of working practically in an outdoor environment. You have good bird identification skills. You have an interest in flora and fauna. You are able to work alone or as part of a team. You are committed to good customer service and are willing to engage our visitors with the work of WWT. You are reasonably physically fit and do not mind working outdoors in all kinds of weather. A driving licence would be useful for this role as there may be the need to use trust vehicles on site. This is an excellent opportunity to work within an internationally important wetland site. Suitable uniform is provided to all regular volunteers. Discount is available in the cafe and shop on the days of volunteering. 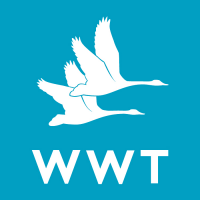 Free entry to all WWT wetland centres throughout the UK on presentation of your WWT name badge. Training opportunities will be provided.